We were listening to this a lot when Slowdive were recording Just For A Day. We used to stay at the studio and Chris [Hufford, now manager of Radiohead] had a room upstairs. I found myself drawn to this record. 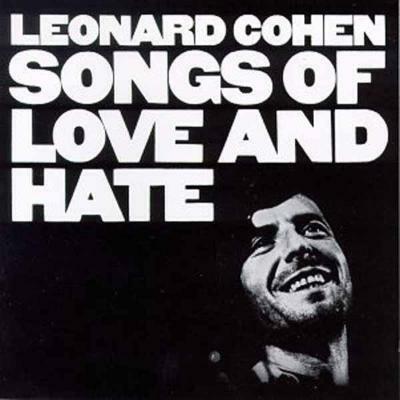 I knew about Leonard Cohen but I'd never really listened to him properly. I was drawn to a picture on the cover initially – I think it's a picture of Marianne [Ihlen] in Greece, in a room with a typewriter, looking a bit seductive. That's the perfect writer's garret right there. And then I listened to the record. I guess it was the first record when I was aware of just a guitar and a vocal, this amazing poetry. The lyrics hit you on a visceral level. 'Famous Blue Raincoat' is such a sad, beautiful, humbling song. It deals with so many difficult emotions in a human way. Everything is there in that song. That album really hit me and it made me aware of music that wasn't just a wall of guitars. It didn't have an immediate impact on the way I wrote but it embedded itself in me. It's not a country record, but it's that kind of thing – it's just a dude with a guitar dealing with emotions. He's not hiding.